Give yourself time for thought, imagination, and ideas by transforming your microplate workflow with automation. The StakMax® Microplate Handling System is a compact benchtop microplate stacker that works with Molecular Devices SpectraMax® Microplate Readers and Microplate Washers to give you walk-away automation for up to 50 microplates. Use just one operating interface — SoftMax® Pro Software — to set up and run your whole workflow. All StakMax System specific commands are entered in the StakMax window. 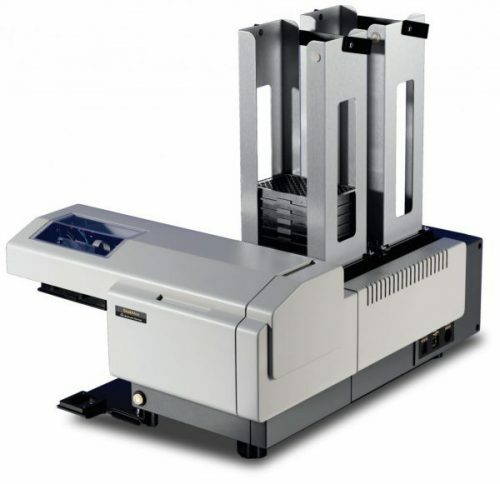 When the StakMax Plate Handling System is connected to an AquaMax Microplate Washer, the stacking functions are selected from within the Touch Screen interface. Users can choose to enable the StakMax System and whether to restack at the end on a protocol-by-protocol basis.